Anita Hassanandani, a well-known actress in both Tollywood and Bollywood has recently went for a complete weight loss transformation that stunned everyone including her fans. 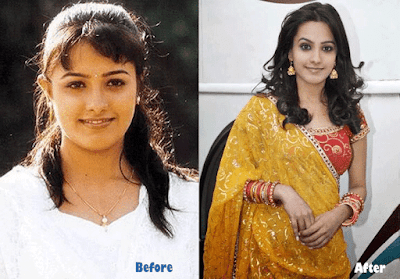 She rose to fame with her TV show ‘Kabhi Sautan Kabhi Saheli’ in the year 2001, later acted in noted Tollywood films like Nuvvu Nenu and a few Bollywood films like Kuch To Hai. As of now, she is seen in the Star Plus serial ‘Yeh Hai Mohabbatein’, as Shagun, which has won her many accolades. She got married to Rohit Reddy who is a popular businessman in Goa on October 14, 2013. She took a short break from the films but not can be seen in some hit serials of Star Plus. 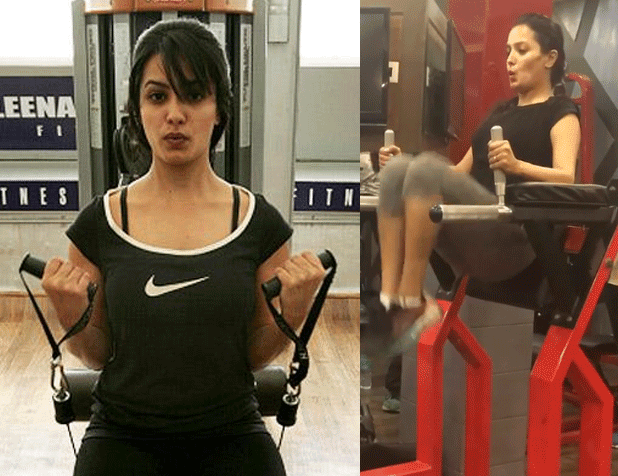 Starting from her beginning days till a few months back, Anita Hassanandani used to look a bit chubby but she recently underwent a huge transformation in the weight as well as her overall appearance and you can clearly see that when you see her before and after pictures (below). So, what exactly did Anita did to get back into shape? Well, we’ve gathered some interesting details about her lifestyle. Go ahead and read it for yourself. Anita in an interview to a leading daily has said that she loves eating and cannot resist when she was offered sweets. So, she decided have them during her cheat days so that her regular diet won’t get affected. Dinner: A mix of Nuts (Almonds, Cashews, Walnuts, Groundnuts etc…) and a cup of hot filter coffee. She also makes sure that her dinner doesn’t consist any non-vegetarian foods as they take a bit longer to get digested. Along with this healthy diet routine, she also makes sure to drink at least 3 to 4 liters of water everyday as it helps with weight loss. Although diet plays 70% role in weight loss, adding exercise to your routine is also important as it helps in the long run (for maintaining the lost weight and to avoid loose skin). So, here is Anita’s detailed workout plan that helped her lose those chubby looks. Breathing Exercises:Anita practices breathing exercises or pranayama every morning as they help relax both the mind and body. Pranayama include Kapal bhati, Sama Vritti, Nadi Shodana and guided visualization. On alternate days, she does strength training for adding up some muscle to her lean body frame. And, during the days other than the weight training days, she indulges in aerobic activities like skipping, swimming, dancing (her most favorite), walking and running. She also got some training in belly dance classes as it would help her achieve great curves. Above all these, one should have a lot of patience and dedication in order to lose weight. And, we should definitely take Anita as an inspiration for her amazing weight loss transformation. What do you say? Are you inspired with Anita Hassanandini’s weight loss journey? Please share your opinions in the comments below.